LEAF Open Farm Sunday is set to better than ever. Since 2013, over 2,000 farms across the country have taken part in LEAF Open Farm Sunday, and the statistics from last year prove that it is only becoming more popular. 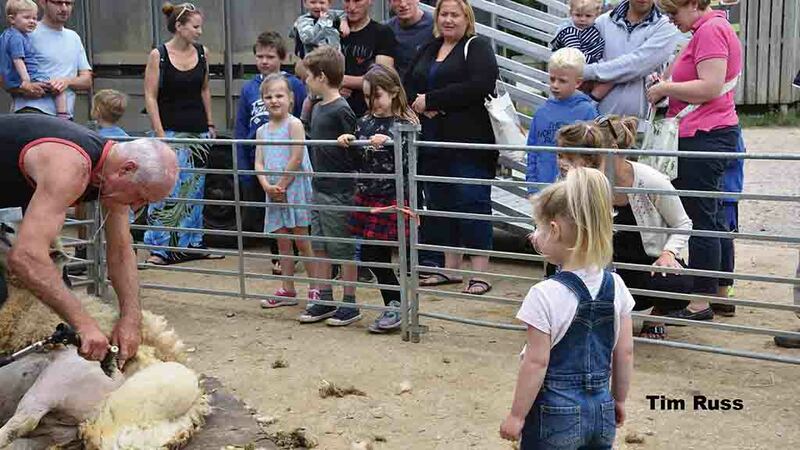 In 2018, 90 per cent of visitors said the event changed the way they thought about farming, and a further 86 per cent admitted they felt more connected to the farmers who produced their food. There is still time to particapte, and below are some top tips on how to get involved. Start with something small like a farm walk for a limited number of people. You can always add in a few activities for example, in a wheat field ask them to guess how many loaves of bread can be made from one metre square – LEAF has a data sheet with the answer. Consider using the LEAF Open Farm Sunday ticketing system so you can manage your visitor numbers. This gives you some added control and confidence when planning your day, whether it is for 10 people or 100. You don’t need to run the event for a whole day, a few hours is sufficient - just make sure you clearly advertise this on all your promotional materials. Visit www.farmsunday.org and once registered we will send you a host farmer handbook with lots of information to support your planning. Invite other local farmers and friends to support you. Even if you are hosting a farm walk, writing down some short notes will help ensure you don’t miss anything you want to share. Props are useful too – ask visitors what the tool/kit is, you can then talk about how you use it on the farm. FREE - it is free to take part on LEAF Open Farm Sunday and you don’t need to be a member of LEAF - although if you are interested in joining, you can find out more on the website. RESOURCES – once you register, you can order a range of free resources to support your event including a gate banner, roadside arrows, leaflets, posters (to add your own event details), postcards, activity booklets and information packs. BOOKING – If you want to control visitor numbers, you can use the LEAF Open Farm Sunday ticketing system. This allows you to limit the number of visitors and manage the flow of visitors for larger events. You will also find out who will be visiting before the day. SEE – Every farm has something to offer – a walk through your crops, a demonstration of sheep shearing, a woodland trail or standing in the parlour to watch the milking. Your event WILL appeal to the public. What you deem as every day activities, they see as fascinating and new. Talk about how you manage the soil, water and habitats for wildlife, and the machinery you use. If you are still not sure, LEAF Open Farm Sunday has a range of activity ideas to support your planning. WHERE – Visitors do not need to see every part of your farm – you can restrict your event to one field, the farmyard, a single shed or only allow them to explore the farm via a controlled farm walk or tractor and trailer ride. TIME – There is no set time that you need to be open for visitors, you decide. DATE – the annual open day takes place this year on Sunday 9th June but if this date does not work for you, you can host the weekend before or after. PROMOTION – You decide how and where you promote your event. Once you register, you will be offered the option to list your event on the LEAF Open Farm Sunday website, or to keep it hidden i.e. a private invitation only event. One host only promotes their event on the website, limits the number to 20 visitors and is fully booked each year. INSURANCE – You must inform your insurance company that you are taking part and have 5 million public liability insurance. If you insure with NFU Mutual, historically they have not added any extra cost to your premium. HEALTH & SAFETY – LEAF Open Farm Sunday provides a template risk assessment that is simple to follow and not overwhelming. You must offer adequate hand washing - cold running water, with liquid soap and paper towels is sufficient, so this should be manageable for every farm.